RDA stands for “Resource Description and Access” and is the title of the standard, that is the successor to AACR2. Resource Description and Access (RDA) is a standard for descriptive cataloging providing instructions and guidelines on formulating bibliographic data. Resource Description & Access (RDA) is a set of cataloging instructions based on FRBR and FRAD, for producing the description and name and title access points representing a resource. RDA offers libraries the potential to change significantly how bibliographic data is created and used. RDA is a standard for resource description and access designed for the digital world. It provides (i) A flexible framework for describing all resources (analog and digital) that is extensible for new types of material, (ii) Data that is readily adaptable to new and emerging database structures, (iii) Data that is compatible with existing records in online library catalogs. RDA is a package of data elements, guidelines, and instructions for creating library and cultural heritage resource metadata that are well-formed according to international models for user-focused linked data applications. RDA goes beyond earlier cataloging codes in that it provides guidelines on cataloging digital resources and places a stronger emphasis on helping users find, identify, select, and obtain the information they want. RDA also supports the clustering of bibliographic records in order to show relationships between works and their creators. "Resource Description and Access (RDA)¹ is the new standard for descriptive cataloging providing data elements, instructions, and guidelines on recording the contents and formulating bibliographic metadata for description and access to information resources covering all types of content and media held in libraries and related cultural organizations, such as museums and archives. RDA is designed for the digital world. The metadata created by following RDA instructions are well formed according to international models for user-focused linked data applications that are compatible with existing records in online library catalogs and also adaptable to new and emerging database structures. RDA is the successor to Anglo-American Cataloguing Rules, second edition (AACR2), which is still the most widely used cataloging standard worldwide. Built on the foundations established by AACR2, the organization of RDA is based on international standards developed by the International Federation of Library Associations and Institutions (IFLA), such as Functional Requirements for Bibliographic Records (FRBR) and Functional Requirements for Authority Data (FRAD). The creation of RDA was the result of collaboration between representatives from the United States, Canada, Great Britain, Germany, and Australia. RDA was developed by the RDA Steering Committee (formerly the Joint Steering Committee for Development of RDA) as part of its strategic plan (2005–09) to replace AACR2. RDA was initially published in June 2010 under the title RDA Toolkit as an online resource by the American Library Association, the Canadian Library Association, and the Chartered Institute of Library and Information Professionals (CILIP). The text of RDA consists of 10 sections divided into 37 chapters, with 13 appendices, a glossary, and an index. RDA was widely implemented in 2013 by the Library of Congress, the British Library, and other major libraries." Salman Haider, "Resource Description and Access," In Encyclopædia Britannica https://www.britannica.com/topic/library/Cataloging#toc336276 (accessed March 2019). Everything you need to know about RDA: Resource Description and Access. Why is it necessary to issue a brand new standard? What are the benefits of RDA? / Why is RDA needed? What are the foundations of RDA? / What are FRBR, FRAD, and FRSAD? What are their relationship to RDA? / How does RDA relate to the Statement of International Cataloguing Principles (ICP)? How can I access RDA? / Who publishes RDA? / What is RDA Toolkit? What is the difference between RDA Toolkit and RDA? What does RDA Toolkit include? How often will RDA Toolkit be updated? Who is responsible for the ongoing development of RDA? What is the process of suggesting changes to RDA? What needs to be done to implement RDA in individual libraries? Has OCLC released a policy statement on RDA? What is the structure of RDA? What are RDA Core Elements? What are Alternatives Options & Exceptions in RDA? Can a record cataloged by the RDA standard be readily identified? What differences will I see in my MARC records? Does RDA focus on the recording of data, the presentation of data, or both? Is ISBD punctuation required in RDA? Why aren’t GMDs (general material designations) in RDA? Where is the information for RDA Cataloging News and new articles, books, presentation, thesis, and videos on RDA? Where is the information for Resource Description and Access (RDA) Cataloging Resources? What are the guidelines for Undifferentiated Personal Names in RDA Cataloging? How to Give Date of Publication Distribution Copyright in RDA & MARC 21? How to Record Name of Publisher in RDA AACR2 & MARC 21? How to Transcribe Place of Publication in RDA & AACR2 & MARC 21? WHY RDA AFTER AACR2 (NOT AACR3)? WHY IT IS NECESSARY TO ISSUE A BRAND NEW STANDARD? AACR2 was first published in 1978. Although it has been updated many times, it is largely designed for an environment dominated by the card catalog. The International Conference on the Principles and Future Development of AACR that was held in Toronto in 1997 identified substantive problems with AACR2. Although the updates issued in the years following that conference addressed some of these problems, it became clear that a fundamental rethinking of the code was required to respond fully to the challenges and opportunities of the digital world. In April 2005, the Joint Steering Committee for the Revision of AACR (JSC) and its parent organization, the Committee of Principals (CoP) determined from comments received on the revision of part I of AACR3 that they needed to change their approach. After reviewing a number of alternatives, they decided that a new standard designed for the digital environment was more appropriate. Their vision included guidelines and instructions that would cover description and access for all digital and analog resources, resulting in records that could be used in a variety of digital environments (the Internet, Web OPACs, etc.). The name AACR3 was dropped as the successor of AACR2 and the new standard was named as RDA: Resource Description & Access which was initially released in June 2010. Main article: What are the Benefits of RDA? RDA builds on the strengths of AACR2 but has some new features that make it more useful for description as a cataloging code for the digital environment in which libraries now operate. RDA is better at catering for digital resources and for resources with multiple characteristics and will provide more guidance on the creation of authority headings. RDA has been developed with the end-user in mind. 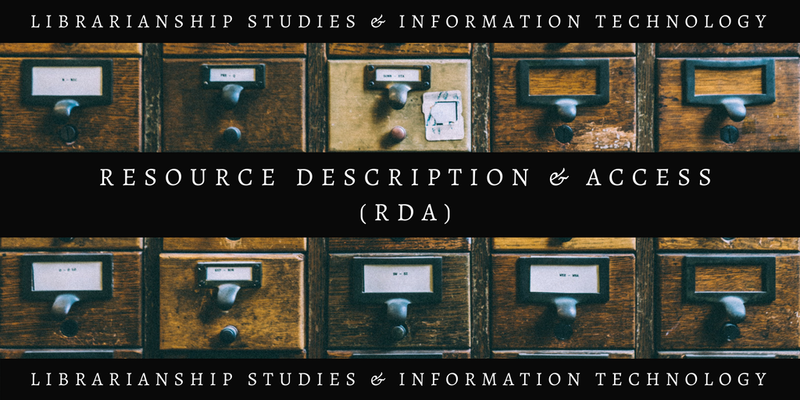 RDA provides a consistent, flexible and extensible framework for the description of all types of resources, including digital resources and those with multiple characteristics. RDA is compatible with internationally established principles, models, and standards. RDA is compatible with a range of encoding schemas, such as MODS, Dublin Core, ONIX and MARC. It will allow library bibliographic records to be integrated with those produced by other metadata communities, and to move into the digital environment beyond library catalogs. RDA will enable, with systems support, the grouping together of bibliographic records for different editions, translations or formats of a work, to achieve a more meaningful display of data for users. RDA is a Web-based product, which enables catalogers to move between related instructions using hyperlinks and to integrate their own institutional policies. RDA is a transitional stepping stone that requires only small changes to catalog records but moves the metadata in catalogs much closer to full utilization of FRBR models. WHAT ARE THE FOUNDATIONS OF RDA? / WHAT IS FRBR, FRAD, AND FRSAD? WHAT ARE THEIR RELATIONSHIP TO RDA? / HOW DOES RDA RELATE TO THE STATEMENT OF INTERNATIONAL CATALOGING PRINCIPLES (ICP)? RDA is based on the conceptual models FRBR (Functional Requirements for Bibliographic Records), FRAD (Functional Requirements for Authority Data), and FRSAD (Functional Requirements for Subject Authority Data). The IFLA Statement of International Cataloguing Principles informs the cataloging principles used throughout RDA. The acronym “FRBR” stands for Functional Requirements for Bibliographic Records. FRBR was developed by an IFLA Study Group (1992-1997) and the FRBR Review Group is responsible for its ongoing development. FRBR includes a conceptual model of entities and relationships and attributes, identifies specific user tasks (Find, Identify, Select, and Obtain) that bibliographic records are intended to fulfill, and recommends a set of elements for inclusion in national bibliographic records. FRBR provides the conceptual foundation for RDA. RDA includes the FRBR terminology when appropriate (for example, use of the names of bibliographic entities: “work”, “expression”, “manifestation”, and “item”), uses the FRBR attributes as the basis for specific data elements to be included in bibliographic descriptions, addresses FRBR relationships, and uses the FRBR user tasks as the basis for defining a set of core data elements. The acronym “FRAD” stands for Functional Requirements for Authority Data. This later conceptual model was also developed by an IFLA Study Group. The FRBR Review Group is working to merge this model with FRBR. The JSC used FRAD as the basis for instructions on authority control; the user tasks for authority data are Find, Identify, Clarify, and Understand. The acronym "FRSAD" stands for Functional Requirements for Subject Authority Data. This later conceptual model was also developed by an IFLA Study Group. The FRBR Review Group is also working to merge this model with FRBR. The RDA element for the subject relationship generally reflects the relationship associated with the entity work as defined in FRSAD. RDA was initially developed concurrently with the work being undertaken by IFLA (the International Federation of Library Associations and Institutions) to revise the 1961 Paris Principles. Members of the JSC participated in the first of the series of IFLA meetings by the international cataloguing experts and in the ongoing work on the revision of the Paris Principles. The resulting IFLA Statement of International Cataloguing Principles informs the cataloguing principles used throughout RDA. The JSC will monitor the ongoing development of ICP. The creation of RDA was the result of collaboration among representatives from United States, Canada, Great Britain, Germany, and Australia. RDA: Resource Description and Access was developed by the RDA Steering Committee (formerly the Joint Steering Committee in for the Development of RDA) as part of its strategic plan (2005-2009) to replace the Anglo-American Cataloging Rules, 2nd Revised Edition. The project is overseen by the Committee of Principals representing American Library Association, Canadian Library Association, CILIP: Chartered Institute of Library and Information Professionals, Deutsche Nationalbibliothek, Library of Congress, Library and Archives Canada, British Library, and National Library of Australia. RDA is available as an online, web-based product called the RDA Toolkit. Although the preferred way for most users to access RDA is online via the RDA Toolkit, print copies of the RDA instructions are also available for purchase. The Co-Publishers, consisting of the three national associations (The American Library Association, the Canadian Library Association, and the Chartered Institute of Library and Information Professionals) are responsible for issuing RDA. The three associations serve as joint publishers for RDA, both for the online product and any offline products. RDA Toolkit is published by the RDA Co-Publishers—American Library Association, Canadian Library Association, and Facet Publishing, the publishing arm of CILIP: Chartered Institute of Library and Information Professionals. ALA Publishing is responsible for the day-to-day management and development of RDA Toolkit. For information on RDA Toolkit subscription options and pricing please visit the Co-Publishers website http://www.rdatoolkit.org/pricing. The site includes full details for consortia and group subscriptions and special extensions for training and classroom access. For further details about RDA print products visit the Co-Publisher site. For libraries outside North America pricing and ordering information for print copies is available at Facet Publishing along with other newly published RDA related resources. RDA Toolkit is an integrated, browser-based, online product that allows users to interact with a collection of cataloging-related documents and resources, including RDA: Resource Description and Access. AACR2 Rule Number Search of RDA instructions through the Advanced Search menu. Workflows and other procedural documentation that is created by subscribers and can be shared within an organization or with the entire community of subscribers. Mappings of RDA to different schemas, including MARC 21. 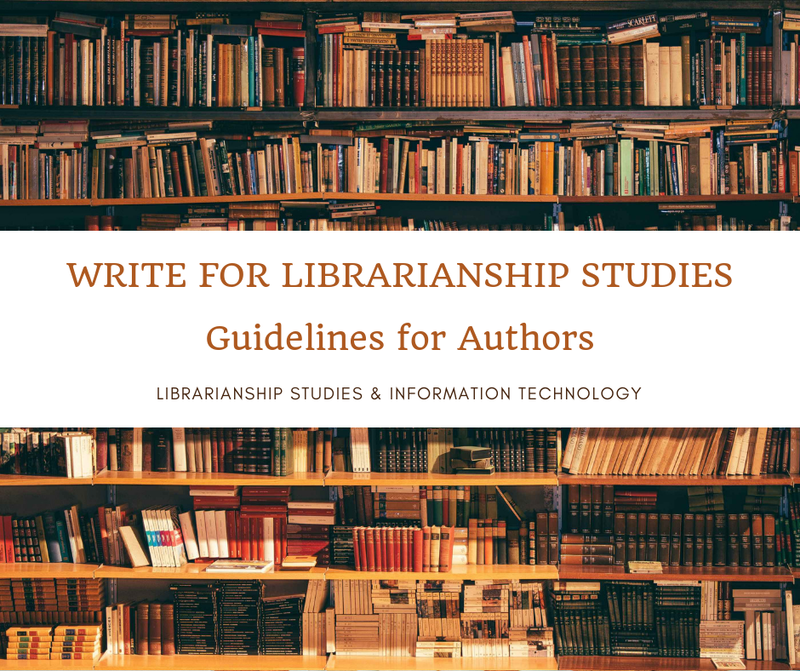 What you need to evaluate and implement RDA; to make cataloging decisions based on principles; to increase efficiency; to facilitate collaboration; and to help position the community for the future by making bibliographic data accessible on the Web. RDA content is under the control of the Joint Steering Committee, and details on the content update process can be found on their website at http://rda-jsc.org/content/rda_faq#2. Changes to the functionality of RDA Toolkit will happen at fairly regular intervals. In recent years there have been updates on RDA Toolkit in February, April, August, and October. For information about cost and pricing options, see the publishers’ website. The Joint Steering Committee for Development of RDA (JSC), the current name of the committee, is responsible for the ongoing development of RDA. The JSC now consists of representatives from seven cataloguing communities. These include the American Library Association (ALA), the Australian Committee on Cataloguing (ACOC), the British Library (BL), the Canadian Committee on Cataloguing (CCC), the Chartered Institute of Library and Information Professionals (CILIP), the Deutsche Nationalbibliothek (also including Austria and the German-speaking parts of Switzerland), and the U.S. Library of Congress (LC). The JSC representatives are assisted by the Chair of JSC, the Secretary of JSC, the Examples Editor, and various working groups (see question 2.3). See the list of JSC members. Proposals for changes to RDA emanating from within the author constituencies of RDA should be submitted through their respective member bodies of JSC. See the information about that process. Proposals for changes to RDA emanating from outside the author countries of RDA should be submitted to the Chair of JSC. Guidelines for submitting a proposal and a sample proposal will be posted on the website soon. Comments on and questions about RDA can also be posted on RDA-L, an electronic forum for discussion of RDA. For details about RDA-L, see the information about the forum: http://lists.ala.org/wws/info/rda-l.
RDA was initially released in June 2010. RDA was implemented in 2013 by the Library of Congress and other major libraries in the United States and Europe. Each library will need to decide when they will implement RDA. RDA implementation will typically include training of staff and possibly a review of existing cataloging workflows and policy decisions. Conversion of existing records will generally not be necessary, as records created using RDA were made to integrate with AACR2 records in existing databases. The global updating of headings will be required in a few cases. For example, there will be changes to the structure of Bible uniform titles, and the abbreviated word "Dept." will be spelled out in full. The JSC has kept these changes to a minimum. Changes to MARC21 have been made to accommodate new RDA data elements. Libraries will need to consult with their library system vendor about the vendor's plans to accommodate RDA changes. Library systems will need to support the creation and exchange of RDA data. Systems vendors are aware of this impending change, that will require MARC21 changes. These MARC21 changes will need to be incorporated by vendors into the cataloging modules of library systems. This will enable the importing and/or exporting of bibliographic and authority records. Changes will also be required to indexes in library systems to allow for the search and display of new data elements. Changes to existing records will generally not be necessary as records created using RDA were designed to integrate with AACR2 records in existing databases. However, global updating of headings will be required in a few cases, for example the headings for "Bible" will change in RDA and also headings for corporate names that include the abbreviation "Dept." Yes. OCLC’s policy statement is found at http://www.oclc.org/rda/new-policy.en.html. WHAT ARE ALTERNATIVES OPTIONS & EXCEPTIONS? In RDA Toolkit the examples in RDA illustrate the application of the specific instruction under which they appear. They illustrate only the data that are addressed by that instruction. They are normally given without showing the preceding or enclosing punctuation that is prescribed for an ISBD presentation. All examples illustrate elements as they would be recorded by an agency whose preferred language is English. Examples appear in yellow shading, clearly setting them off from the instructions themselves. Yes, an RDA record will have both a value of “i” coded for Description and a 040 $e rda. You will see some notable differences in MARC records cataloged under the RDA standards. RDA records will not have General Material Designators (GMD’s—245 $h). Instead each RDA record will have a 336 for the content type, a 337 for media type, and a 338 for carrier type. Rather than a single non-repeatable 260 containing the publication, distribution, manufacture and copyright information, this information is given in the repeatable 264. If needed, multiple 264s are used to individually call out the publisher, distribution, manufacture, and copyright information. You may notice more relator terms attached to access points, as well as the spelling out of non-transcribed abbreviations. Although records we create according to the RDA standard will continue to follow current capitalization rules in the 245, you may notice member contributed RDA records that use the alternative capitalization rule. RDA establishes a clear line of separation between the recording of data and the presentation of data. The major focus of RDA is providing guidelines and instructions on recording data to reflect attributes of, and relationships between, the entities defined in FRBR and FRAD. The ISBD order of areas, data elements and punctuation is not required. Information on presenting RDA data in an ISBD display appears in Appendix D.
WHY AREN'T GMDs (GENERAL MATERIAL DESIGNATIONS) IN RDA? -- carrier type (e.g., audiocassette, slide, volume) – an attribute of a manifestation. Representatives from the publishing community ONIX and the JSC established the original vocabularies for content, media, and carrier type based on a common framework for resource categorization (RDA/ONIX Framework). Because the content and carriers of resources collected by libraries and other information agencies continue to change, the JSC established a working group to update and maintain that Framework. There will still be the possibility to give users an "early warning" regarding the content and carrier of the resource. However, that action will be taken in relation to the display of the data rather than the recording of the data. Also, the controlled terms in the RDA instructions for content, media, and carrier types can be replaced in local displays by terms chosen for local users. Terminology used to indicate extent of the manifestation (called specific material designations in AACR2) includes some terms that are the same as carrier types; it is easy at first to confuse the two elements Carrier type and Extent. Other extent terms are specified in vocabulary lists of instructions for specific carriers; terms in common usage may be used. WHERE IS THE INFORMATION FOR RDA CATALOGING NEWS AND NEW ARTICLES BOOKS PRESENTATIONS THESES AND VIDEOS ON RDA? 100+ Most Important Resource Description and Access (RDA) Tools and Resources for Cataloging and Metadata Librarians and Catalogers. "Resource Description and Access (RDA) Cataloging Resources" is a collection of top free and paid cataloging and bibliographic metadata resources. HOW TO TRANSCRIBE PLACE OF PUBLICATION IN RDA AACR2 & MARC 21? A designator that indicates the nature of a relationship between entities represented by authorized access points, descriptions, and/or identifiers. RDA Quiz - List of questions, answers, and quizzes on Resource Description and Access and related topics such as FRBR, FRAD, FRSAD, etc. from Library and Information Science Questions Answers Quizzes. Please visit this collection and locate questions given below under the heading "Unit V" where you will also find their URLs. having answers and further explanations. This article is a new place for our previously created Resource Description & Access (RDA) blog or RDA Blog (https://resourcedescriptionandaccess.blogspot.com). We have discontinued RDA Blog and created this article as a new home for RDA Blog. All the information available on the RDA blog will be produced here in a revised and updated manner. This multimedia article Resource Description and Access (RDA) is widely discussed, appreciated, cited, referred, and hyperlinked. Some places where it is discussed and referred are given below. Jayaram Haravu (Managing Trustee at Kesavan Institute of Information and Knowledge Management (KIIKM) and Pioneer of Open Source Library Software movement in India, creator of NewGenLib (www.newgenlib.com) integrated library system) -- I congratulate Salman Haider for bringing to our notice this excellent initiative. I am sure this will be an invaluable source to teachers and students of librarianship and information studies. I have been a silent observer and admirer of your commitment to de-mystifying RDA for several years now. What you are doing is most commendable. I wonder, though, how many have taken advantage of your knowledge.